First development plot completed July 2017. As the final plot of our latest Hampshire home automation installation nears completion, we’re excited to show you pictures with a brief overview of the tech used in the first finished development. 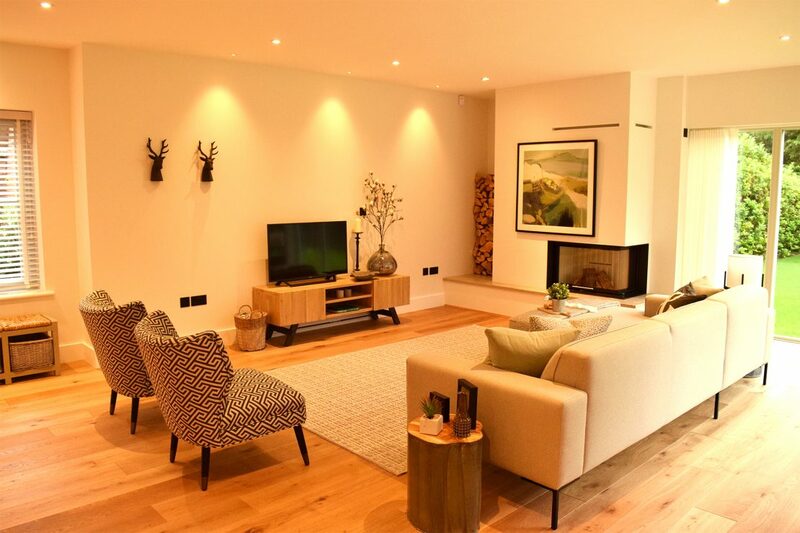 Our expert team of Smart Home Technicians were tasked with installing a lighting control system that enhances the open plan living area, is straightforward to use and is easily upgradeable to suit the automation needs of the buyer. 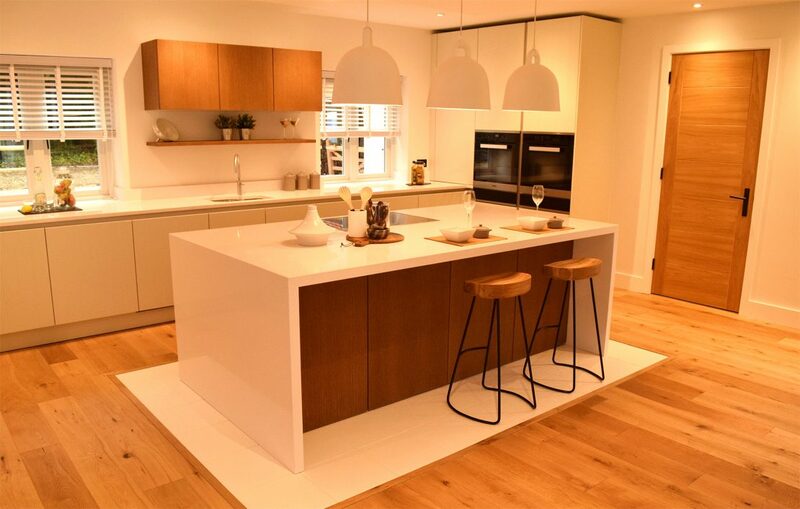 Here are a few of the pictures showing the lighting design within the living area, with the full interior architecture specification and rental show home completed by Jigsaw Architecture. A morning scene that lights the kitchen and breakfast bar only. A cooking scene that lights the kitchen bright and dims the living area. 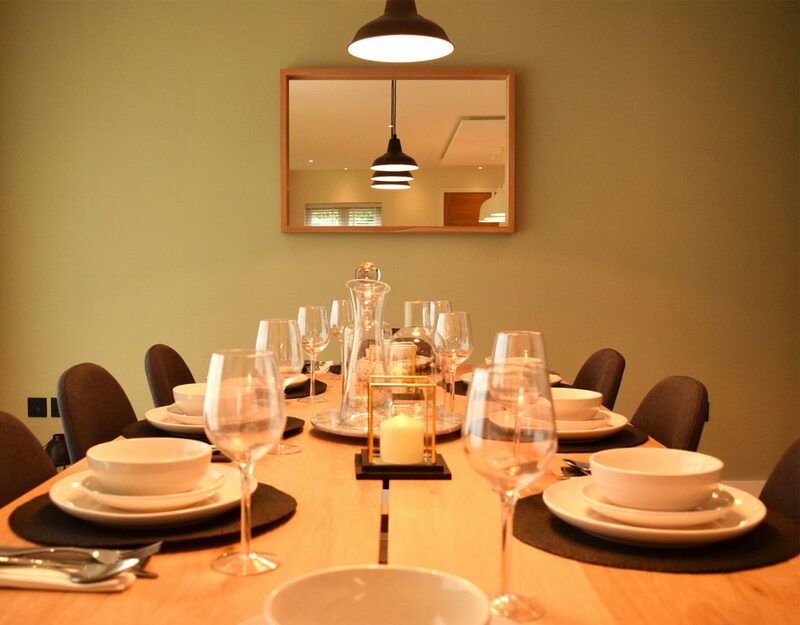 A dining scene that lights the dinner table and dims the kitchen and living area. An evening scene that lights the living room and dims the kitchen and dining area. With a total of 15 lighting circuits, these scenes have been programmed by our Smart Home Technicians and can be completely customised. 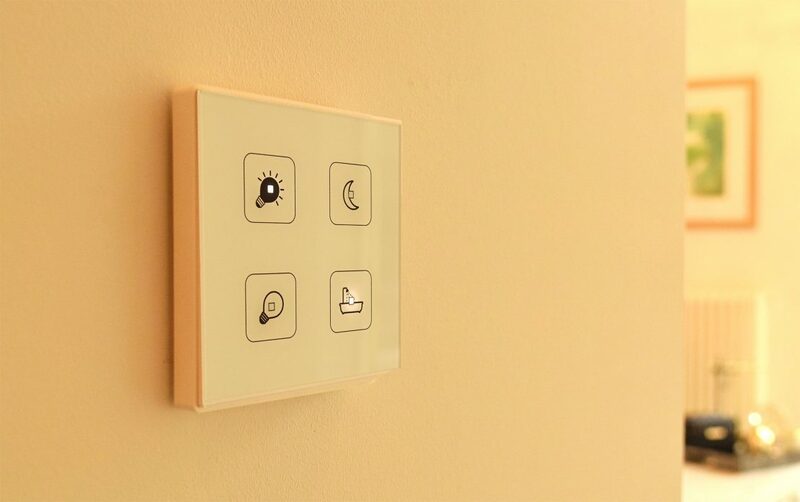 There isn’t multiple light switches on the walls with labels in an unattractive grid, now the client controls them with a simple-to-use touchscreen panel or from their smart device. A great solution. Our specialist KNX lighting equipment partners – Ivory Egg – provided us with the best solutions for the job. Starting with Theben for control of the mains dimmable and switch lighting circuits, Gira for control of the 1-10 volt circuits and Zennio for the customisable capacitive touch light switches. For the main automation controller, we programmed the above into the Control4 system to give user-friendly touchscreen and smart device control of the lighting, with the capability in the future to upgrade the system to control the door entry system, alarm system, CCTV cameras, smart heating and multi-room audio visual system. 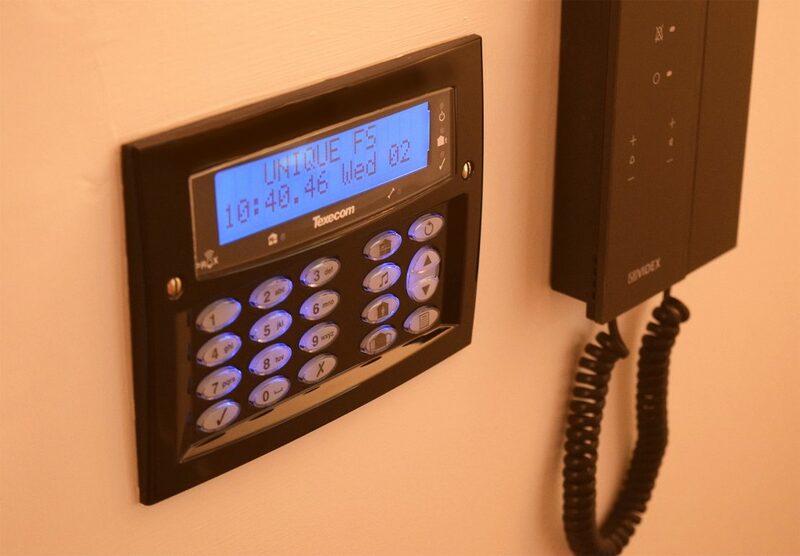 Not forgetting our brothers over at Unique Fire and Security for the installation of the home burglar alarm system, integrated with our Hampshire home automation control system. They used the Texecom wired alarm system. 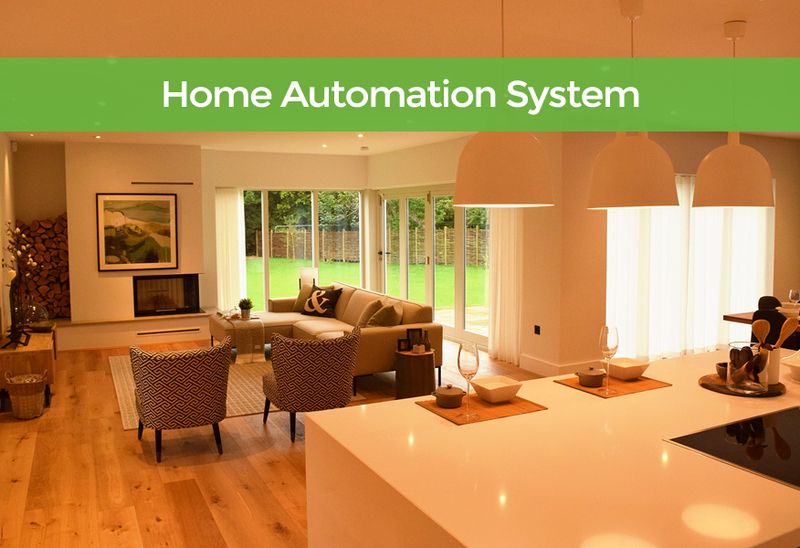 Hampshire home automation systems are growing in popularity now they’re significantly less in price than they’ve previously been. 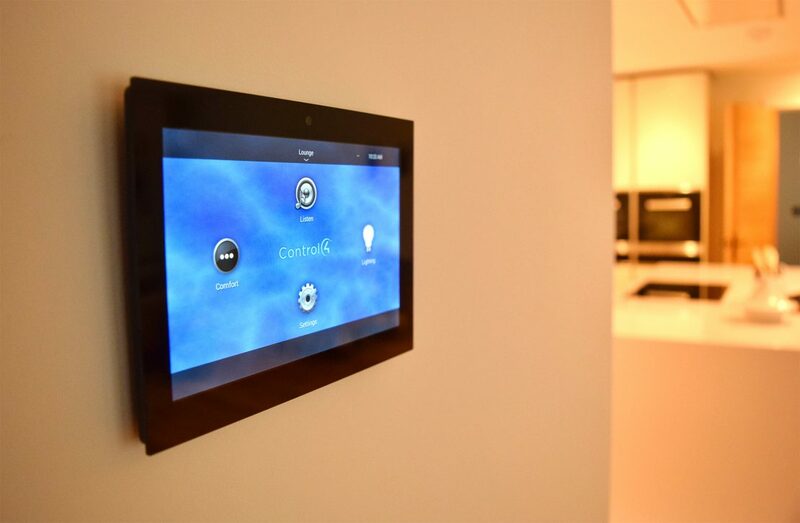 With our technical knowledge and industry experience installing Control4 products and KNX lighting, we can offer the best smart home solutions across Hampshire county complimenting the family home. We’re Control4 dealers in Dorset and Hampshire for home automation with over 20 years industry experience and market leading when it comes to technical installations. Our expert team of friendly tech advisers are always on hand and happy to help with your enquiry, get in touch below or call us on 02380 011615.